Florida is a stunning resort on the shores of the Atlantic Ocean. There are no high seasons, and you can relax there all year round. The warm Gulf Stream gives the coast a mild tropical climate that is rich in rain and hurricanes from May till September. Many kilometers of coastal paradise gives tremendous opportunities for carefree holidays, and the well-developed road network of the state allows you to reach even the wildest beaches – you just need to find a suitable car. However, in addition to the beautiful beaches, endless summer and gentle Atlantic Ocean, Sunny Florida has another – less pleasant side. 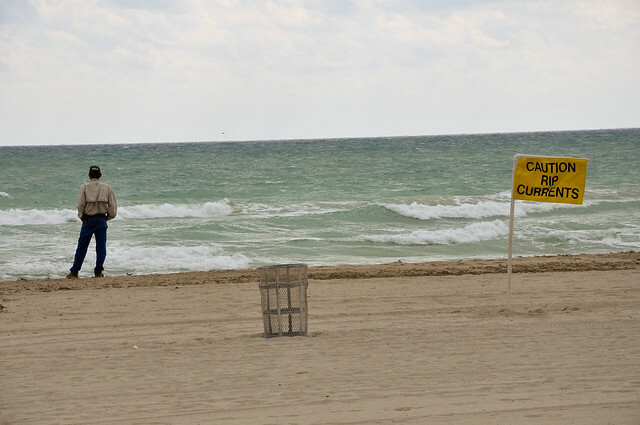 So, what dangers await gullible or inexperienced tourists on the beaches in sunny Florida? Check out the following items to protect your health on your trip. Rip current is characteristic for the ebb of a wave from the coast. The most dangerous for people are the currents in shallow waters with many small islands, sandy streamers and shoals. During low tide, water cannot immediately return to the sea. Due to the pressure of the water mass, rapids are formed, which rush into the sea with great speed. It turns into the river in the middle of the sea. The wider the spit – the greater the speed of the river. It looks like a channel of boiling water, located perpendicular to the shore, or a strip of calm water amongst turbulent waves. Typically, the width of such a river is not more than 2-4 meters. Even experienced swimmers find it difficult to cope with the fast sea current, and newcomers are stunned by an unexpected phenomenon and begin to panic. The cunning of the rip currents is that they appear near the coast and pick up those who simply splash in the water and carry them to the depths. How to avoid it? Bathe only on the crowded beaches, where there are lifeguards nearby. What if you have got into the rip current? Don’t resist, and save your strength. Try to stay on the surface of the water until the flow weakens. Then swim out of the current, in the parallel direction to the shore. When you find yourself outside the current – return to the coast at a slight angle. Extreme travelers seek vivid impressions and bathe during a thunderstorm. 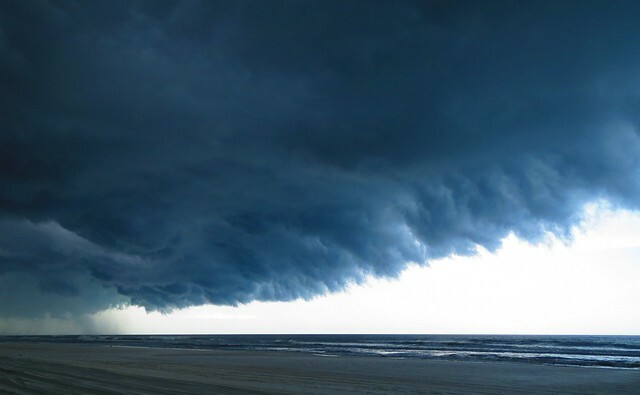 Dark clouds warn of thunderstorms. However, lightning can strike from a distance of 10 miles. This type of lightning is called dry lightning. Darkened clouds warn that lightning can strike nearby. According to statistics, several people a year are victims of lightning strikes in Florida. Have you noticed the oncoming thunderstorm? Try to protect yourself as much as possible. Move as far as possible from any water body, because the impact spreads through the water within the radius of 100 meters. A man on the beach during a thunderstorm represents a target for lightning, as the discharge hits the highest point on the surface. What to do? Just lie on the ground, be sure to turn off the phone and get rid of metal objects, as they are the target of a lightning strike. In order to escape from the storm – try to hide in the building. Florida is a paradise for divers. It features beautiful weather, warm water, rich underwater world and predators. Off the coast there are 3 types of sharks: tiger shark, blue shark, bull shark and big white shark. However, they usually don’t hunt – rather, it’s a reaction to the movements of numerous swimmers. Manatees are the sea cows, which also swim nearby the coast. Despite the fact that these are quite peaceful animals, rescuers recommend people to get out of the water. More likely, holidaymakers will be frightened by their size: the length of adult animals living in shallow water reaches 3 meters. Before direct contact, jellyfish seem to be harmless. The danger is a tentacle, leaving a severe burn on the body. In the Atlantic off the coast of Florida, there are several dangerous jellyfish for humans. Their touch causes deep skin lesions. Jellyfish include other inhabitants of the Atlantic and warm seas – physalias. They differ from jellyfish in that they live in colonies, where each individual plays a certain role. 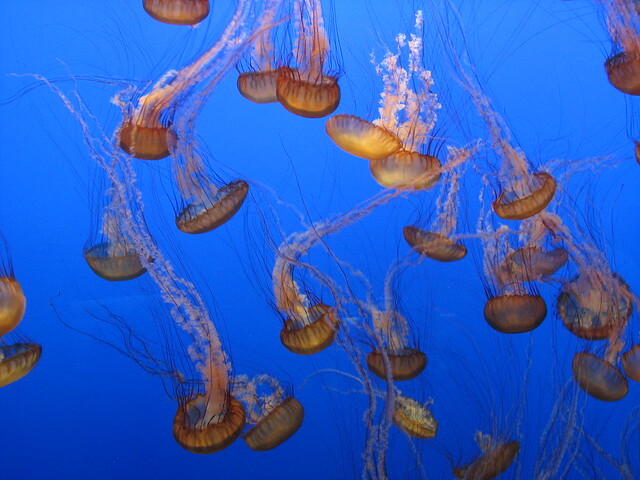 It differs from ordinary jellyfish in that it moves across the surface of the sea and is able to move against the wind. Strong gusts of wind eject physalias onto dry land. Want to take a closer look at these sea wonders? Do it from afar. After touching you will feel severe pain and sticky mucus, which is not washed off with water or special means. Physalia’s poison causes swelling and inflammation of the wound. Physalia is considered to be the second most dangerous jellyfish. Sharks, manatees, jellyfish, rip currents, lightning and thunderstorms occupy the bottom lines in the rating of the dangers on the beach. Much more people affected by sunburns and heat stroke. 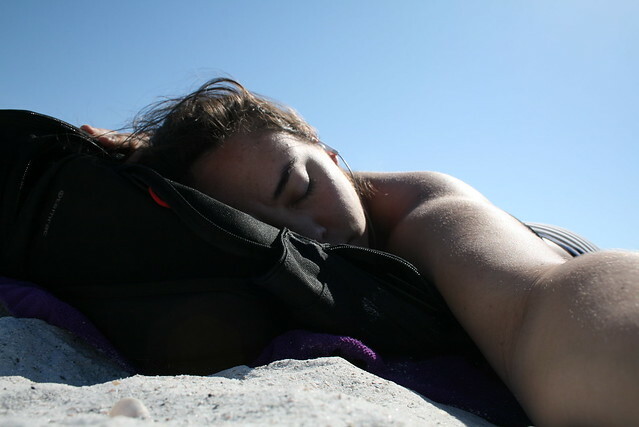 What’s more, under the Florida sun, sunburns are possible both in winter and summer. Your permanent companion in Florida should be a tube of sunscreen and a hat or cap. Also, light-colored clothing is usually worn to reflect ultraviolet rays.